Party time! Who doesn’t love ice cream? And how much fun to make your own! 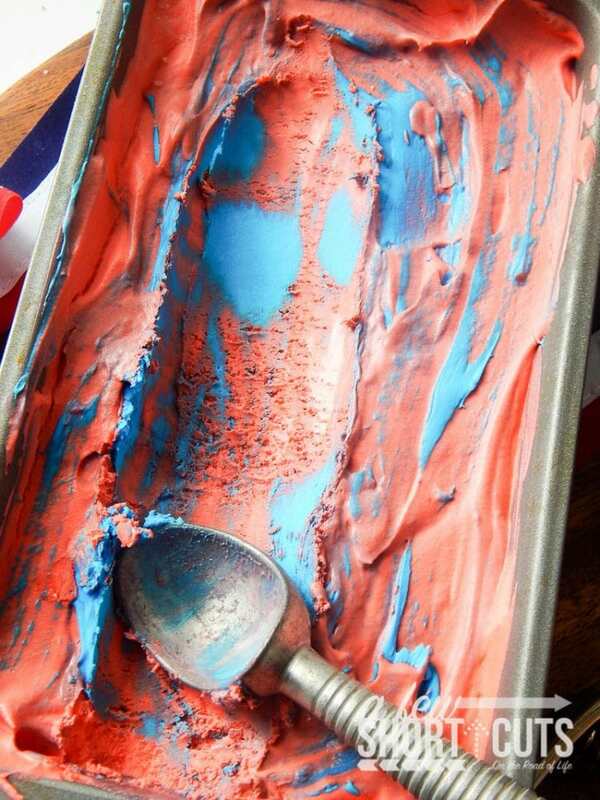 This No Churn Patriotic Ice Cream is perfect for your 4th of July celebrations! Kids love to help to make their own treats! Whip heavy whipping cream until stiff peaks form. Set aside. In a separate bowl add in condensed milk and sugar. Blend until combined. 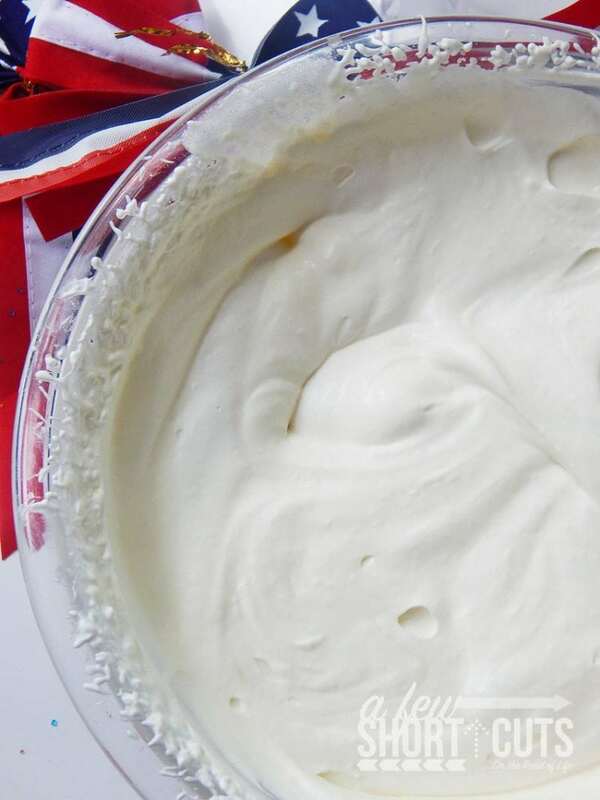 Pour condensed milk mixture into whipped cream whipping constantly. 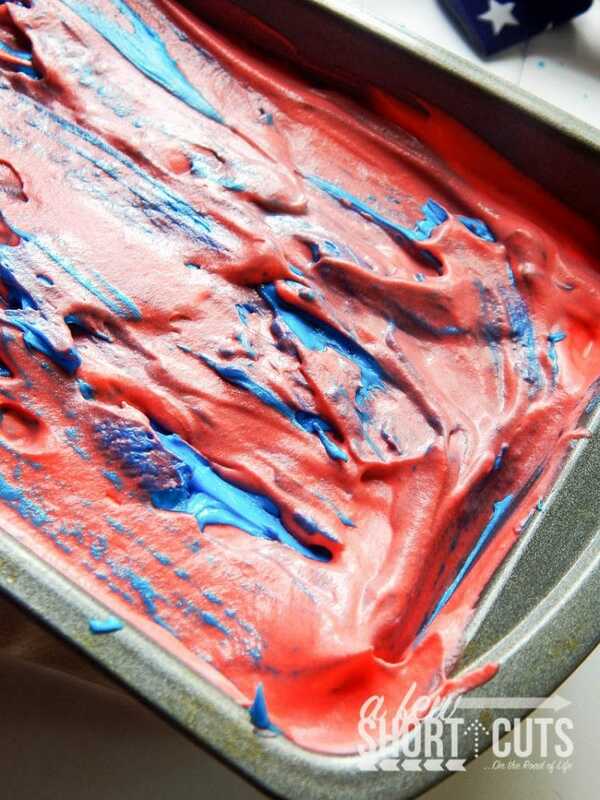 Mix in the food coloring and spread into the loaf pan. Pull out the handy dandy cookie scoop. If I haven’t told you lately…I love my cookie scoop. Everyone should have one. Oh, and blue frosting. 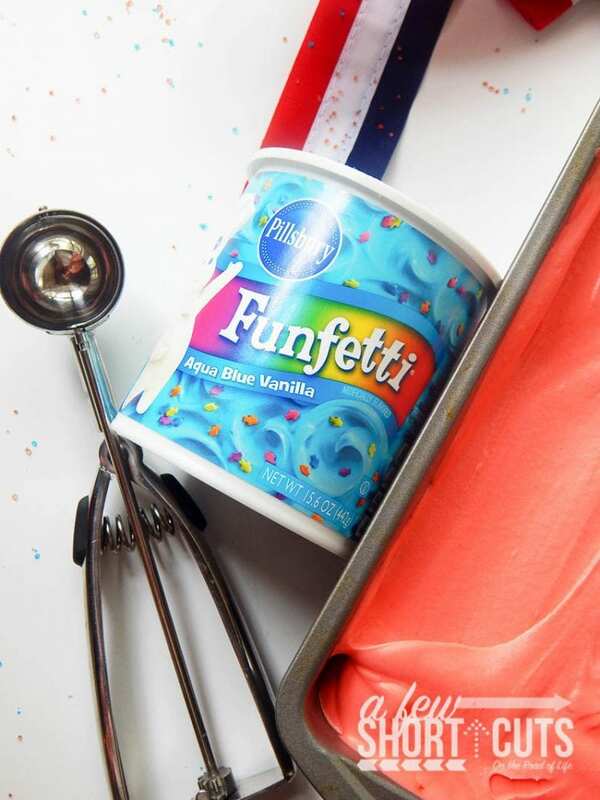 If you aren’t going to use the sprinkles right now save them. They are cute little fish. 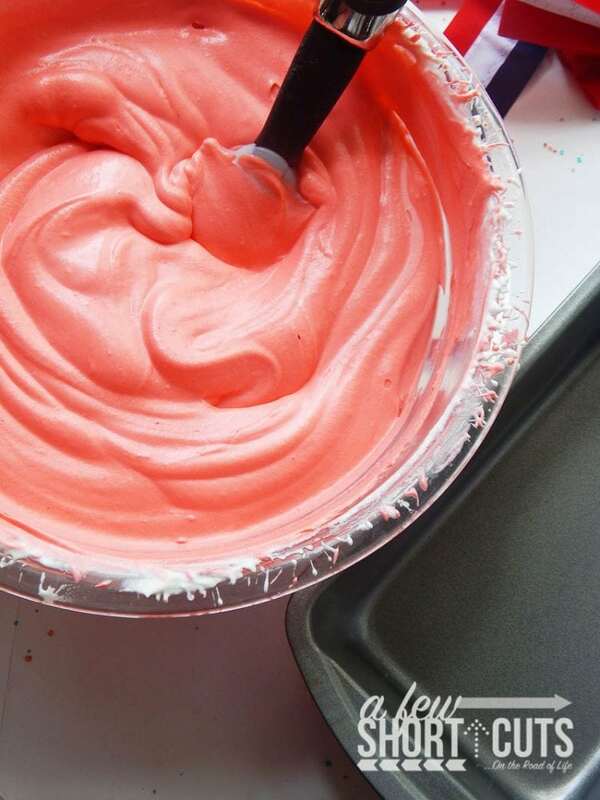 Place a couple cookie scoops of the frosting on the red cream. Using a butter knife swirl in the blue frosting. Freeze for about 6 hours. Then scoop and enjoy. In a separate bowl add in condensed milk and sugar. Blend until combined. Pour condensed milk mixture into whipped cream whipping constantly. Now add in the food coloring and mix again. 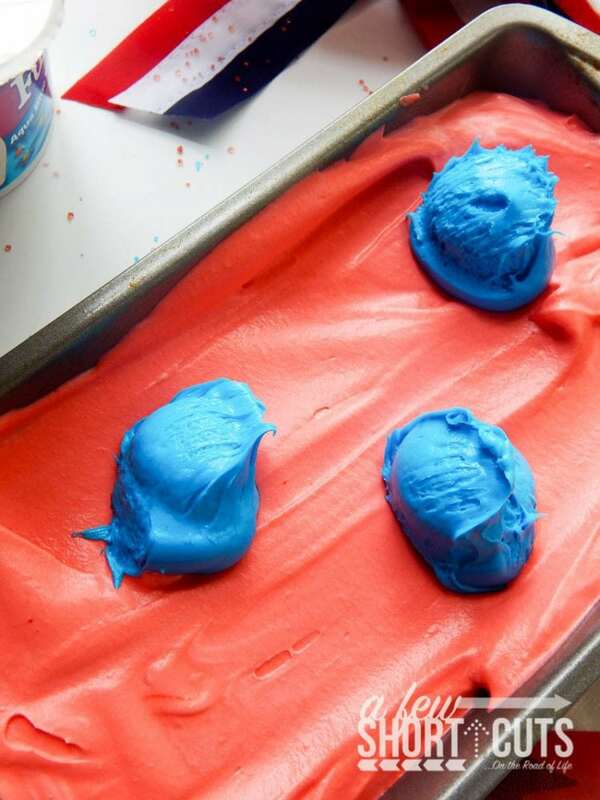 Scoop out 4 scoops of frosting and use a knife to swirl the frosting into the ice cream. Add 3 more scoops of frosting on top and then spread it on top of the ice cream mixture like you would with peanut butter on a sandwich. This will create more of that swirl look on top. This is great! Thank you, it’s just what I was looking for. Do you know how much ice cream it makes? I need a quart… Thanks!